Invisalign in Fresno Versus Mail Order Dentistry: Which Should You Trust? It seems everyone is using shop-at-home websites these days. There’s nothing wrong with this, of course, as long as you’re ordering products like books or household goods. On the other hand, you could be setting yourself up for trouble if you’re trusting an anonymous stranger with your oral health. That’s because nothing can beat Invisalign in Fresno for proven results and peace of mind. Part of what makes the dental profession so demanding is the need for keen observational skills. Not all oral health problems are obvious. Some of them require advanced diagnostic skills to detect. When these conditions go undetected, the consequences for the patient can be serious. That’s not to mention the challenges of creating an accurate model of the patient’s dental profile, a complex task all in itself. If one step goes wrong, then the entire course of alignment therapy might not turn out the way it should. The ultimate cost to the patient may include not only added expense but prolonged discomfort or even worse. Given the fact that dental medicine is a challenge for even the most gifted individuals, does it really make sense to trust an anonymous stranger hundreds or thousands of miles away to create your aligners? Or, are you better off working with a local dentist in Fresno, one who offers person-to-person care? For most people, the answer to this question is clear. One of the major concerns about mail order dentistry is the inability to get direct support for any problems you may encounter. This is a crucial fact to keep in mind when considering your treatment options. Everyone’s oral profile is unique; there’s no such thing as a “routine” case. Diagnosing unexpected situations takes good, old-fashioned, hands-on dental care. Is the chance to save a few bucks worth risking your well-being to a text, email, or webcam image? There’s a reason why most people prefer a flesh and blood dental care provider to an impersonal online exchange. 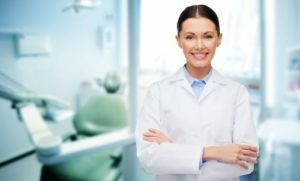 The dentist-patient relationship is just that – a relationship. A professional who knows you by name, who takes the time to understand your oral health needs, will always provide better care than an electronic online presence whom you will never meet. Given the advantages of hands-on dental care, why do some people resort to mail order companies? The answer usually comes down to concerns over costs. Fortunately, your dentist has a number of ways to make Invisalign affordable. These include payment plans and private financing arrangements. The office manager at your local practice will be glad to give you more information about these opportunities. Some things are just too important to trust to cookie-cutter solutions. This includes your teeth and gums. Make an appointment with your community dentist to learn more about Invisalign and other alignment options. You’ll soon have plenty of reason to smile. Dr. Byron Reintjes prides himself on his personal, patient-centered approach to practicing dentistry. Over the years he’s helped thousands of people in our community to enjoy brighter smiles and better oral health. Dr. Reintjes is an authorized Invisalign provider. You can reach his office online or by calling (559) 438-6684. Comments Off on Invisalign in Fresno Versus Mail Order Dentistry: Which Should You Trust?